Established in 2003, Windster Hoods has been providing a new level of value and innovation in the appliance industry. 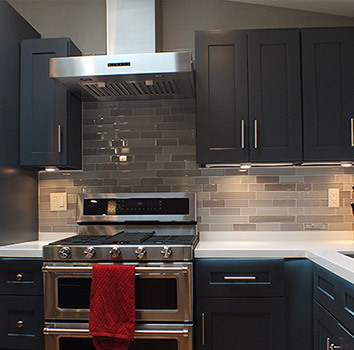 VC Home Improvement Center and Wisnter Hoods has a unique ability to design and manufacture range hoods that are safe, easy to operate and powerful. Our high performance range hoods are safety approved by the CSA standards of United States and Canada. In order to provide our customers with a smoke-free environment as well as a beautiful kitchen, we've devoted ourselves into combining power with beauty and mold them into an elegantly looking range hood. The beauty, the style, the craftsmanship, all mixed together. The result is nothing less than irresistible. Let VC Home Improvement Center and Windster and range hood bring your kitchen to live. So stop by our Oxnard, CA. show room and our working hoods on display.